Hello! Well, we love music at our house, and as I was trying to think of something other than candy to put in little Charlotte's eggs I thought about egg shakers. I have tried to make my own in the past, but they look ugly and the tape comes off and I end up with rice or beans all in my carpet :( So the best solution I could think of was of course...fabric! 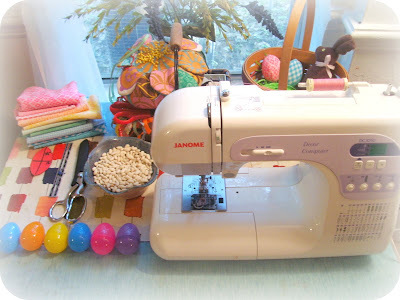 So here is a tutorial for making musical egg shakers that are covered in fabric. 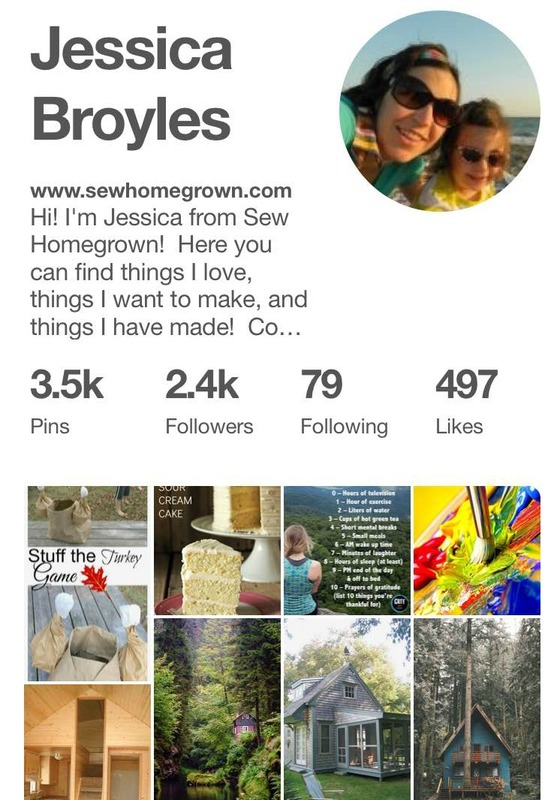 The fabric I am using is vintage knit- my grandmother actually found it in a barn behind her house! 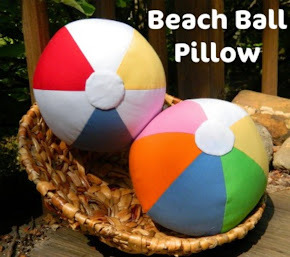 You could also use felt or some other fabric that has some stretch in it. 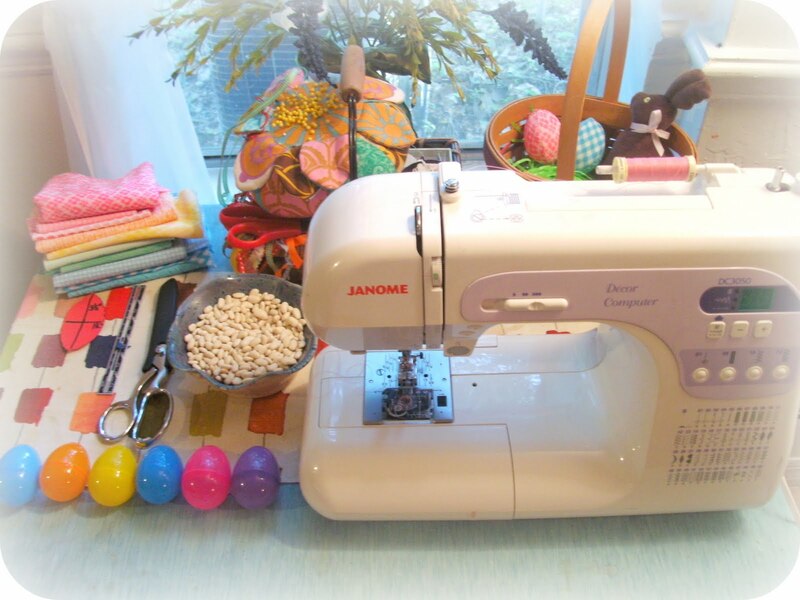 These eggs come together really quickly so you still have plenty of time to make some before Easter :) Ready? Here we go. Step 1: Create the template. Draw a vertical line 3 1/2" long. At the midsection draw a perpendicular line 1 1/2" long. (These measurements will work for the average plastic egg-I got mine at Wal-mart.) Draw a football shape around the cross that you have drawn. 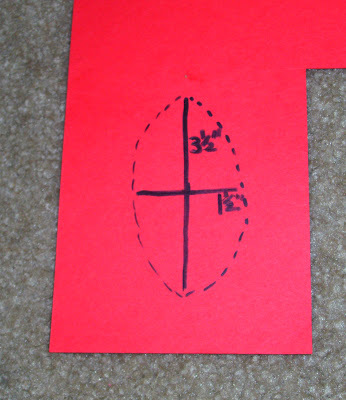 Step 2: Cut out the template and lay it on your fabric. Cut four little "footballs". Step 3. Sew these right sides together, using a 1/4" seam. Leave one seam half way open - this is where you will insert the egg. Turn right sides out. Step 4: Fill the small part of a plastic egg with dried beans - I used Great Northern. You could also use lentils, black-eyed peas, etc. 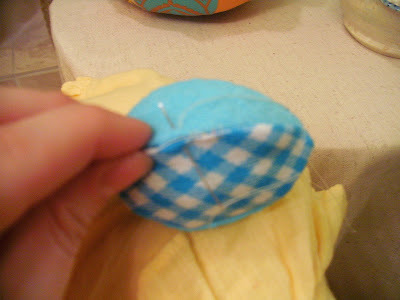 Step 5: Close the egg tightly, tape the seam well with duck tape, and insert it into your fabric shell. 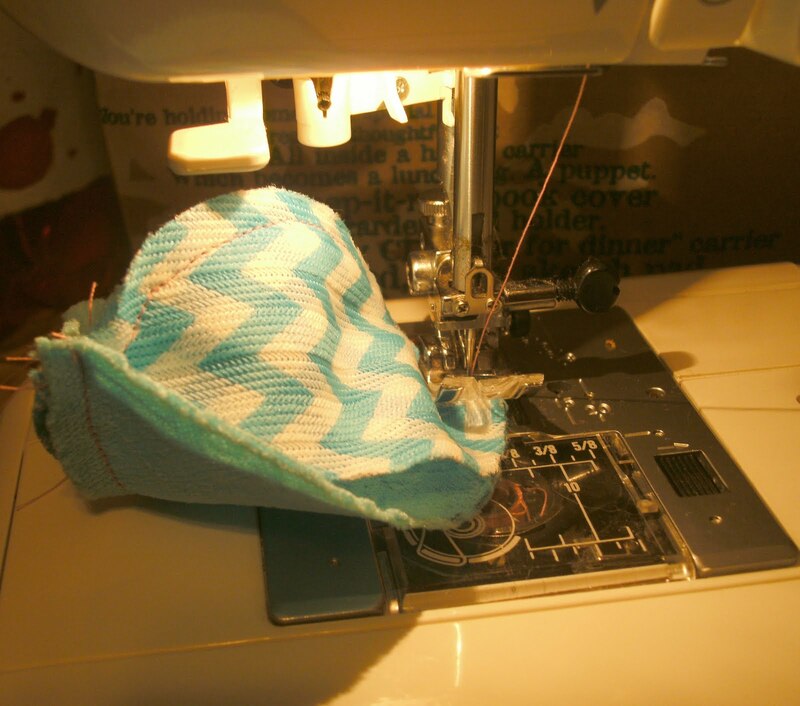 Step 6: Using a needle and thread, hand whip the opening closed. Voila! Get out your other instruments and have a musical Easter!